Ann Thivierge is head of the Active International Allocation and Global Equity Allocation strategies. She joined Morgan Stanley in 1986 and has over 20 years of investment experience. 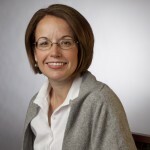 Prior to this role, Ann was a senior professional in Morgan Stanley Investment Management’s Fiduciary Advisor Group, which advised pension plans and large family trusts on strategic asset allocation. Monsignor Donald Sakano has been the Pastor of the Basilica of St. Patrick’s Old Cathedral since 2007. 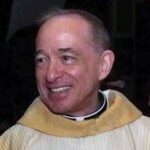 Ordained a priest for the Archdiocese of New York in 1971, he has served as Director of the Department of Neighborhood Preservation, Catholic Charities from 1981 to 1994. He is the President and Chair of the Highbridge Community Development Corporation, a non-profit owner and manager of 2400 units of housing in the South Bronx. Ms. George-Eghdami joined Rose Grove in 2016 after more than 10 years at JP Morgan. Most recently,she served as Global Head of the Prime Custody Solutions Group. In that role,her responsibilities included managing the design, development and sale of specialized securities services to hedge funds and institutional asset managers. Jerilyn Perine is an urban planner with 30 years of experience in housing and community development. She was appointed Commissioner of the Department of Housing Preservation and Development by both Mayor Rudolph Giuliani and Mayor Michael Bloomberg to lead America’s largest municipal housing agency with more than 3000 employees. . .